Perth has come alive for FRINGE WORLD with thousands of local show-goers being wowed by local and international acts across the city. If you’re yet to experience the magic of FRINGE WORLD for yourself (um, what!? ), there’s still plenty of time to get in on the fun with the festival running until Sunday 25 February. Browse the full show guide at the FRINGE WORLD website – using the Kleenheat Sizzle Factor to help pick your ideal performance – then book your tickets and be prepared to be wowed! Any first-time Fringe experience just has to start at one of the Festival’s best and brightest local hubs, with one of these funky spaces likely to be just a hop, skip and jump from your ticketed show location! 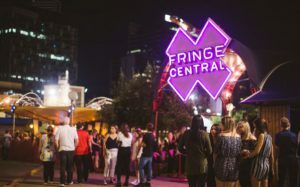 The best place to start your entertainment adventure is Fringe Central, located at the Perth Cultural Centre. Here you’ll find the festival’s central box office – right by the ferris wheel and Urban Orchard – with a heap of free entertainment on offer, plus a special Play Space where our youngest guests can run wild. With artists roaming Fringe Central every night, ready to tell you all about their shows, this is the perfect meeting point for a short walk to nearby venues. This Northbridge icon has had a long life and it’s not over yet! Re-inventing the old Roe Street factory for the FRINGE WORLD Festival means turning into a bright and dazzling entertainment venue. 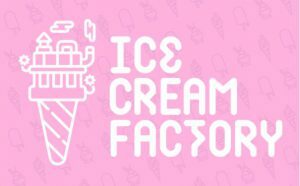 Keep in mind the Ice Cream Factory is located within a licensed area and security may ask to see valid photo ID to gain entry. If you cannot produce valid photo ID then you may be refused entry, without refund for any tickets purchased. An exciting new festival concept that makes its debut in Australia as part of Fringe World Festival in 2018. 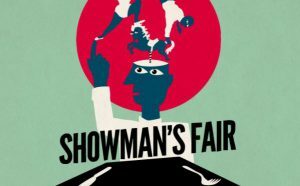 The Showman’s Fair will occupy the Urban Orchard and will see an array of pop-up theatre venues, small sideshow theatre venues and other interesting installations setup for the duration of the Festival. The Showman’s Fair comes from FRINGE WORLD’s friends in Holland and focuses on audiences engaging with a whole night of short and unexpected occurrences. Perth’s favourite Fringe playground returns at FRINGE WORLD 2018 with a wildly expanded program featuring the largest variety of shows at the Fringe. It’s home to 10 venues, including two Spiegeltents and a brand-new FRINGE WORLD Mermaid show that will run throughout the Festival. Free entry and street performances every night of the week will keep the good times rolling. Stop by for a drink before your show – you’ll never be bored. 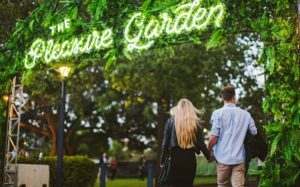 The Pleasure Garden is only a short stroll from the Perth Cultural Centre and close to heaps of parking in the City and Northbridge. Kleenheat’s already helping more than 190,000 WA households save on their gas bills, while thousands of customers outside WA’s natural gas network enjoy top-notch reliability and service with Kleenheat LPG – plus a 5% discount when ordering cylinders online. If you’re yet to make the switch to Kleenheat, now’s the chance to enjoy even better value energy and all the customer benefits from WA’s local energy supplier.